A segmentation analysis offered in the report propounds forecasts on global male hypogonadism market. Categorizing the market in terms of disease type, drug type, therapy, and region. Analysis on Y-o-Y growth comparison, the market share comparison, and the revenue comparison coupled with relevant market numbers is offered in this chapter. 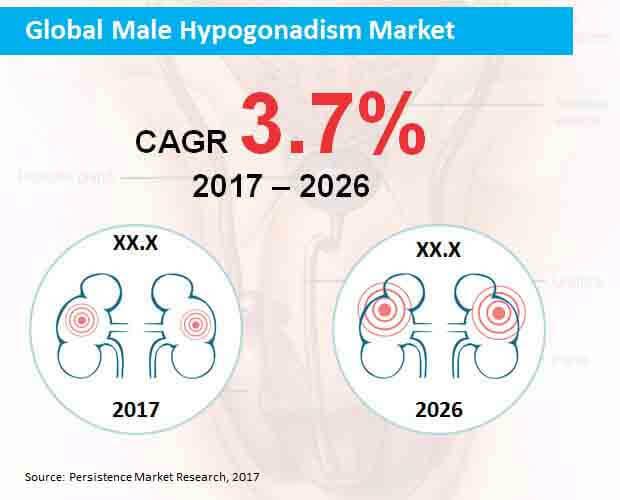 Global market for male hypogonadism has been regionally divided into Japan, Middle East & Africa, Europe, Asia-Pacific excluding Japan, North America, and Latin America.